The Portuguese Coastal Way starts in Porto, same as the standard Portuguese Way. However, from this point both routes follow different paths up to Redondela (in Redondela, they merge together until Santiago de Compostela). 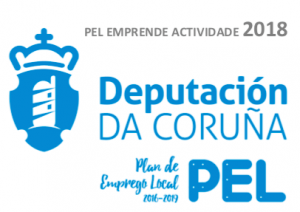 Those who decide to walk the Portuguese Coastal Way from Porto, will have the chance to discover really nice fishing villages in Northern Portugal, such as Povoa de Varzim, Esposende, Viana do Castelo, Vila Praia de Ancora… Same in Galicia, as the path passes by lovely towns like A Guarda, Baiona or Vigo. The Portuguese Coastal Way is a new route, but is becoming really popular. 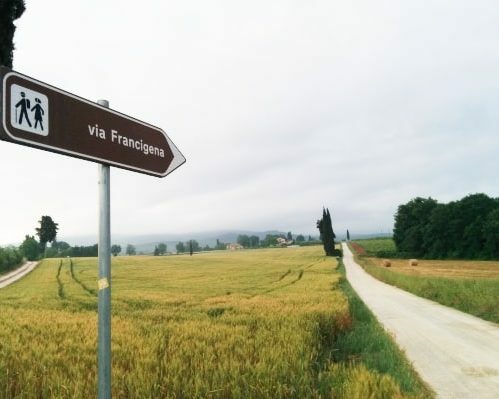 Each year, more and more pilgrims decide to walk it because of its stunning landscapes and gastronomy. Do not hesitate to take on this adventure, from Porto to Santiago following the coast line! Private accommodation · Half Board · Luggage Transfers included. This walking day departs from the same place as the standard Portuguese Way, but both routes follow different paths onwards (one is on the coast, and the other one, inland). After leaving behind the outskirts of Porto, we will come over coastal areas and beaches, until reaching Povoa de Varzim. 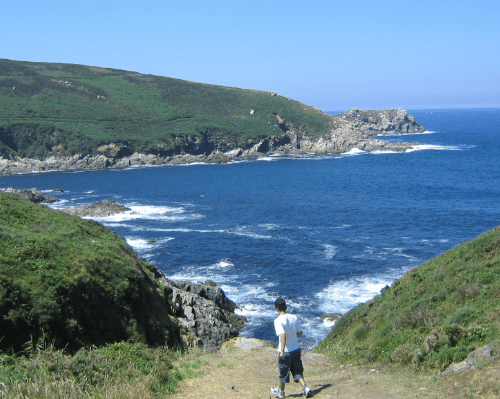 We will continue our walk over the coast line, and the Camino will take us to lovely beaches and small costal villages. The walking day from Esponsende to Viana do Castelo combines rural tracks and paved roads. After crossing its bridge, which is a symbol of the town, we will arrive in Viana do Castelo. This a quiet walking day. If you have enough time, you can take a quick swim on the beach when you arrive in Vila Praia de Ancora (if weather allows you to do so!). We will finally arrive in Galicia region, in Northern Spain, after a couple of days discovering Portugal. If you feel you can walk a bit more, you can continue to Oia. This walking day is one of the longest of the route. It is possible to split this walking day in two, and stay in Oia, which is in between A Guarda and Baiona. The route begins in Baiona, a small town where the first news of the discovery of America was received. The caravel Pinta docked in its port when it came back from the new continent. The route will take you along the beaches of Nigrán and you will be able to admire the Cíes Islands. The landscape in the last kilometres, will become more urban, as you get into Vigo, the most populated town in Galicia. Pilgrims will be able to take in the impressive veiws of the Estuary of Vigo on the left. This walking day is a bit shorter and less intense, so you can enjoy a quick dip in once of the many beaches you come across from Vigo to Redondela. 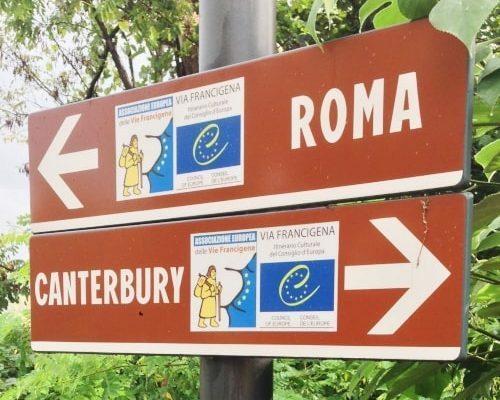 From this point up to Santiago, the path will be the same as the traditional Portuguese Camino, so you may see more Pilgrims on the way. Pontesampaio is a village which is worth seeing, it is interesting to learn about the historical events which took place there, and cross the Roman bridge over the Verdugo river. Our way out of Pontevedra will lead us back to the rural side of Galicia, so we will be able to enjoy the woods and streams. Many pilgrims stop in Barro to see the Natural Park of the Barosa River with its cascades and mills. Finally, we will arrive in Caldas de Reis, a town which is famous for its thermal spring waters and spa resorts. Today, the Camino passes peacefully through small villages, with dispersed houses along the route. Padrón is known as the first place on land spotted by the boat which carried the remains of Saint James the Apostle. Also, it is the birthplace of great authors like Rosalía de Castro or Camilo José Cela. The last stage is the longest of this itinerary, so we advise you to start early. At the beginning the path will take you through rural landscapes as in the previous days, but during the last kilometers, as we approach Santiago, the landscape becomes more urban. When you get to Santiago do not forget to go to the Pilgrim’s Office with your Pilgrim Passport if you want to get your “Compostela” (Pilgrim Certificate).